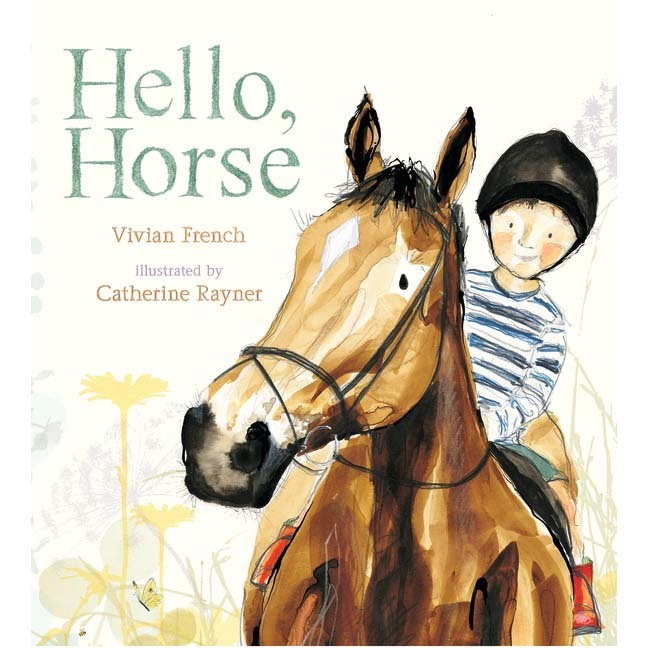 From much-loved author Vivian French and award-winning illustrator Catherine Rayner comes a charming new Nature Storybook about horses. Hello, Horse gently introduces young children to Shannon, a friendly bay mare, and offers encouragement to those unfamiliar with or a little nervous of these large, beautiful creatures. The subtext is packed with practical tips, such as the right way to offer a carrot, and also covers their behaviour – horses’ need for company, for example. Tender words and art combine to create a warm and witty introduction to horses … from the safety of the page!